Lots going in Micronesia, talking about the FSM on this episode. A bribery scandal has surfaced and the Chinese built Chuuk administration buildings are done. Thanks for joining us on the Micronesian Podcast. We are talking about our partners and how we (Micronesians) can be influenced for greater good. Best news platform in Micronesia? 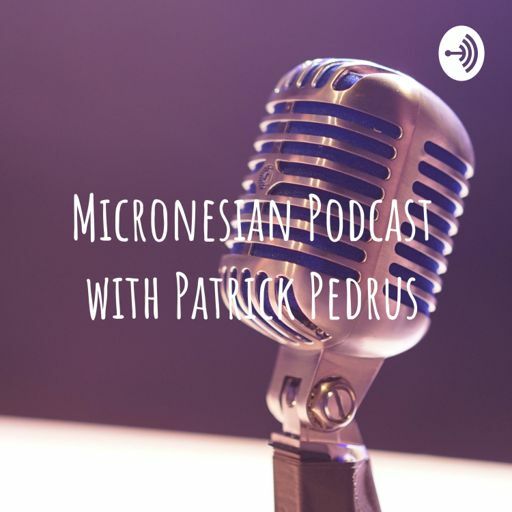 We talk about the different ways we get our news and the news too, here on the Micronesian Podcast, 15 April 2019. Thanks for joining us once again, we are talking about some recent stories, how we shared them, what it means and what the FSM Constitution says... Thanks for listening. See you on the next episode. Couple of things to share... The recent elections are not over. Kosrae is still at it. Plus, an update on the viral NURSE video. EP 89 Win, win for Pohnpei? We talk about the Congressional forum held today for Pohnpei candidates to the FSM Congress. We continue on Politics in Micronesia. A Congressional candidate has been charged with human trafficking and so close to elections. Coincidence? On this episode I speak with a recent ASVAB test taker and I offer my views on the ASVAB and military service. On this episode, I'm happy to share the audio version of the Micronesian News broadcast. This is from their 2Feb episode. You can watch them on Facebook or YouTube, or hear the audio version here. Two great events or opportunities coming to Pohnpei in February for our young people. It's great to have options and knowledge to make decisions. This is what our young ones need. Are there any updates in the bribery story? Plus, we talk about the homeless and assimilation challenges for Micronesians abroad. EP-81 Yap Leaders and bribery officials named? Sharing a story out of Guam about a widow being scammed. This is another case in Guam that needs to be followed. Elections are fast approaching. Some state elections have already concluded. 2019 looks like a year of change. Listen as me and my co-hosts talk about this important time in Micronesia 🇫🇲. EP77- Good Marshallese response and where are the autopsy results? Great response over in the Marshall Islands to a possible disaster and where are the autopsy results for a Chuukese detainee in Guam? Join me and June fron the Micronesian News Broadcast as we talk about some of the top stories of 2018. What a year it has been. Looking forward to a great 2019. Happy New Year everyone! E72 - Top reasons why the Tuna commission meeting was a success. EP71 - Tuna week, cockfighting, Chuuk visit and what is our (FSM) strategy? Tuna Commission meeting is almost over in Hawaii, a visit to Chuuk by Indo-Pacom commander and what is our strategy to deal with all this increased Pacific engagement? E69 - Monitoring our Tuna, innovative outer island financing and my take. Thanks for joining me on Episode 69. On this episode we discuss our Tuna resource and those who watch over it, an innovative finance scheme for the outer islands of Yap and my take on a road rage case in Guam. On this episode we share the story of no Justice for the family of a man murdered in Guam, the magic of keeping an open mind on upsetting issues and my take on December 7. Join me as I do a tour de horizon of news stories and give take on the seemingly important or popular news items across Micronesia. Thanks for joining me again . Today, we started with some brief stories from across Micronesia and ended with two stories about our Tuna resources and our important relationship with the USA. Many people look to the news for many different reasons. Above all, I believe, we want to stay informed. But who is or isn't informing us and why or why not? Listen to my take on this. A recent article shared by the FSM Public Information Office shows the varying attitudes in Micronesia towards China. Sharing news from across the region. Why not? If you don't like reading, listen up and stay updated. Just stay informed. Talking about Heine, Ridgell, Babauta, chief negotiator and some others. The list is out and the campaigning has begun. May the the best, and qualified candidate win. The fate of our country, as always, remains with us. We elect those who will lead us into the future. Vote and choose well. FSM Independence day was on the 3rd of November. Did you know, did you go? This podcast along with the Micronesian News Broadcast has an operating budget over $33.00 or more per month. If we can put out content weekly, why can't the government? Episode 55 - Raise that minimum wage?! I just wrote an article on my blog, themicronesian.com addressing this very issue. Isn't it about time? A recent letter to the editor of the Guam Daily Post from Guam Senator Esteves proves to me, at least, the power of social media. What an amazing story coming out of Chuuk being called the Miracle in Micronesia all over the world! With all the hate in Guam and Hawaii against Micronesians, I have to ask why? And ask if you know why? We are All Humans, we have the capacity to love and hate. Choose wisely, please. Episode 50 - The Big 5-0!!! It's been 50 episodes! Amazing! Grateful for this technology and this platform. The 9th Micronesian Games are over. The first ever live streaming happened for the most part. The Micronesian News Broadcast airs every Tuesday, Thursday and Saturday. They share news and updates from across the Micronesian region. Catch them on Facebook and YouTube. A bill came out last year proposing to remedy the lack of women participants in the FSM congress by creating 2 year seats with no voting powers for women. That didn't go over too well. The 9th Micronesian Games had a lot of issues before they even started. In spite of it all, the games continued and an inspiring story emerged that can serve as an example for all. Here is the audio version of the Micronesian News Broadcast for all you audio lovers. You can catch their videos on their Facebook page: Micronesian News Broadcast or my YouTube channel, the Micronesian. The compact of free Association denies FSM citizens the ability to use the postal services provided through the US Postal services for monetary gain. The US Ambassador to FSM weighs in on the Chuuk Secession movement and we talk about it. Here is another episode of the Micronesian News Broadcast, originally airing on Facebook and YouTube. Stay updated Islanders and earn the privilege to live in our God-given islands. I am happy to share the Micronesian News Broadcast on my podcast. You catch their videos on Facebook, YouTube and IGTV. There not that many famous Micronesians, but here is one that helped to show the legendary skills of our ancestors. A vessel carrying 139 Filipino workers to support the 9th Micronesian Games in Yap, FSM did not make it to there. Instead, they were boarded and 139 human trafficking cases came out of the situation. Norman and Alana from the Micronesian News Broadcast stopped by and joined the podcast today. We are fast approaching the end of US economic assistance... What next? JCRP will review and plan and hopefully inform us. Last week's vog in Micronesia brought dark skies and dark memories of a connected past. A follow up from a blog post from www.themicronesian.com on a devil's advocate view to the Chuuk Secession movement. I read an article from the Pacific Daily News about Micronesian leaders of the past. Written by an assistant professor of chamoru studies at the University of Guam, it shows the wisdom of our founding fathers. Success in Micronesia for Micronesians. Being ruled by another country can never be a good thing for those being ruled... Right?! With the recent news of a casino in the works in Pohnpei, my trip to Guam has more meaning. Has all the development in Guam and Hawaii been beneficial to the locals? What can we learn from them? The people of Pohnpei have fished and eaten fish for hundreds if not thousands of years. Fish markets may be new but choosing the right fish isn't. The next phase of our young country's journey into self government and economic sustainment is fast approaching. What will happen in the lead up to and beyond 2023? The Micronesian Islands Forum and the Forum Economic Ministers Meeting we're in Micronesia last week. Good to see that these events are getting coverage, but we can do better. Pacific Islanders are the latest arrivals to the Micronesian experience. Some, like Micronesians, were former territories of the US. We are finding our way slowly but surely. Today, my co-host Mercy reacts to a bill that was proposed to amend the FSM constitution guaranteeing women representation in the FSM Congress. I found a video on Facebook that made me question why people tell stories that are not helpful to anyone. My co-host Mercy and I look back over the rains that caused mudslides, bridge, road and property damage and looking forward to the Easter week where Pohnpei, Micronesia celebrates in their own unique way. Episode 10 - Island Soldier is coming to Pohnpei! The documentary Island Soldier makes it way to Pohnpei after a global tour. A recent article in the KPress shared some frightening fishy facts about our Fish Markets. For real? Micronesia continues to support America at the UN. Today I interviewed a student from FSM's only college. He gave us his perspective on the only College in the country. I gave my two cents too. The Micronesian spirit of 1996 offered by Guam was a great people to people gesture that should be remembered moving forward. My fourth ever podcast and I talk about a recent news article on Chinese sensors in Micronesia and our great benefits under the compact of free association. Every year since 2003 the US Government has allocated $30 million dollars for a legal nonimmigrant group living in the US. How Do Stay Updated In FSM?